We develop eCommerce solutions based on today's best technologies to ensure we are providing our clients a best of breed service on the best of breed platforms. We are constantly evaluating solutions in the eCommerce marketplace that best help our clients achieve the type of results they expect. See how we can help your business grow in the digital marketplace. 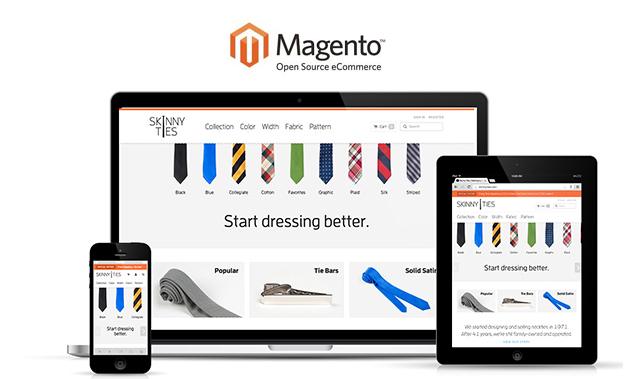 Magento is the leading open source Ecommerce platform providing a flexible and feature-rich solution to meet a wide range of business needs. GoWebly.com specializes in all forms of Magento development services that cater to the need of it's potential clients. We have years of expertise in delivering high-end Magento solutions including custom ecommerce solutions, theming and module customization. Our developers ensure that we deliver perfect Magento solutions that are highly scalable and tailor-made as per your business requirements. It consists of a user-friendly WYIWYG interface and it is really useful to the businessmen to maintain and store information. Advanced search engine optimization functions to gain traffic. It consists of several modules and plugins to extend the functionality. We have experienced Magento designers and developers who can customise Magento Community, Enterprise editions to your needs.